Note: Wilcox's number of goals is one less than in some publications. That's because of the match at home to Swindon on 3 Jan 1914. At least one book says that he scored the second goal, but contemporary newspapers show that is was an own-goal by Skiller of Swindon. Wilcox, born in London in 1878, began his career with Bromsgrove Rovers before joining Small Heath, the future Birmingham City, in 1898. 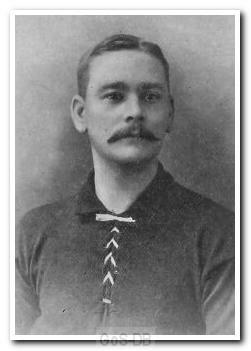 After 14 appearances in two years with the club he moved on to Watford for a single campaign before signing for Preston North End in 1901. Here he made his name as a prolific goal-scorer, finding the net 42 times in 99 games over the next four seasons, 29 of which came from spot-kicks and led to him being nicknamed the 'Penalty King'. 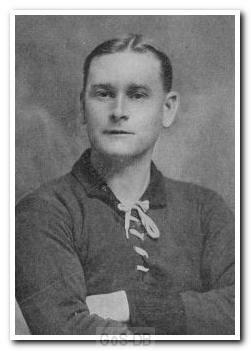 In 1905 he joined Argyle and missed just two games during his first season with the club, scoring 25 goals in 55 appearances. He was described as a "bold, dashing forward, possessing all the attributes necessary for the position". Despite the success he moved on after just a year with the 1906-07 club handbook explaining that "efforts were made to retain him but the powers that be ruled that he longer belonged to Argyle". He spent a season each with Leicester Fosse and West Bromwich Albion before returning to Home Park in 1908. His return coincided with the loss of central defender Charlie Clark and Wilcox was tried out in the middle of defence, a position he retained for the remainder of his career, the club handbook of 1911-12 stating that he was "second to none in the Southern League at centre-half". He was also named captain in 1911, leading his side to the Southern League title in 1912-13, and won many admirers for his courage on the pitch and sportsmanlike approach to the game. Twice selected for the Southern League representative side, his career was effectively ended by the outbreak of war, but not before he was awarded a well-deserved benefit game which took place on March 18th 1914. Wilcox did return to Home Park after working in Devonport Dockyard during the conflict, making four appearances for the club in 1919 before becoming player-coach of local side Green Waves.